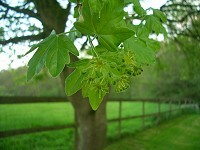 Field Maple, sometimes called Hedge Maple, is a native to Southern England. 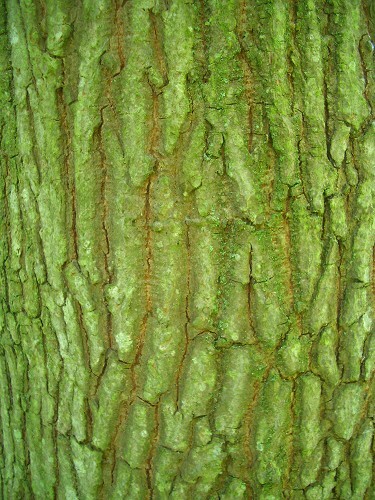 It is often used in hedges. 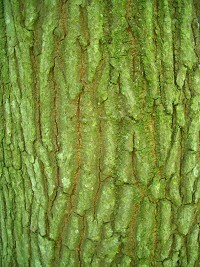 The bark is grey / brown with a cork-like texture. 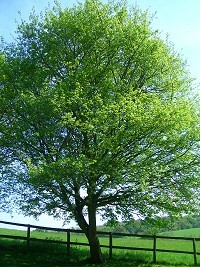 The leaves have 3 to 5 rounded lobes. 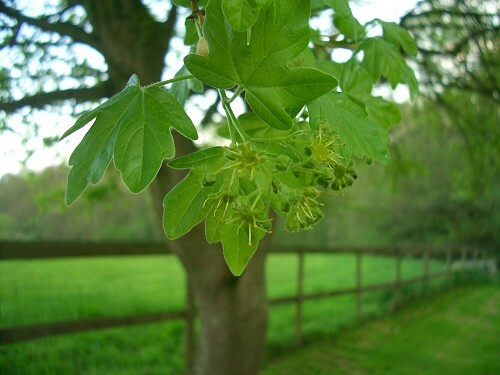 The yellow / green flowers appear in May in upright clusters. The fruit appears as double 'keys' with the wings almost horizontal. 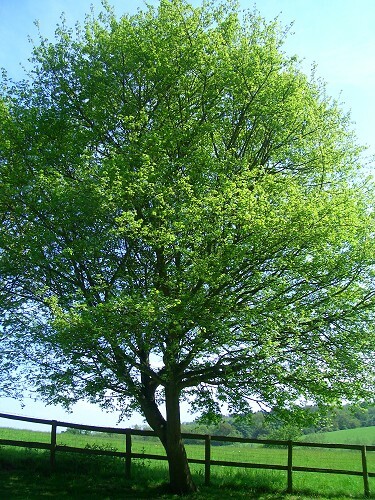 In autumn the leaves turn a pretty yellow / red.